In memory of our Sturt family – members, players, officials and stakeholders. The Club will endeavour to post to this page a small bio and photograph. Speak to the Club about how loved ones can be remembered through a picket or donation to our Bequest Society. 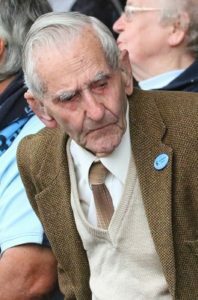 The Club wishes to advise the passing of player number 519 William “Bill” Boland who played 99 games as a rover for the “ Old Double Blues “ from 1949 to 1957. He kicked 85 goals. Bill was a tenacious rover at only 168cm he could ‘duck and weave’, was tough on the ball and could outrun most opponents. He moved from Melbourne after playing in the seconds for North Melbourne to play for Sturt. Returning to Melbourne in 1950 for a holiday he was responsible for successfully luring his friend and Best Man the great Len Fitzgerald from Collingwood to play for Sturt. After a Sturt v Port Adelaide game Bill and Len had to run to the church to get there on time for Bill’s marriage to Kath, his wife of 67 years. Sturt lost by 52 points. In 1952 he was one of the few SANFL players included in a card collection series in the Easi Oats packets. He remained very proud of this inclusion but quipped for the rest of his life that he never even got a free box of oats! Denied his 100th game and his life membership by the selectors in 1957 he went on to qualify for life membership by training the Sturt Colts in the 1980’s. He was greatly appreciated by those players and stayed in contact with them for many years. He was very proud of his Sturt Life Membership. Bill went on to coach many community and school AFL teams who were all appreciative of his gentle and directive manner. Bill played in the number 22 guernsey for Sturt and always picked his football tipping competition margins by 22 points. And as they say in the AFL ‘you can only control what you do on the field, the score will take care of itself.’ Bill died on 22 February 2019. Malcolm Jones was an extremely talented full forward who graced the Sturt teams of the mid-sixties when the Double Blues were establishing themselves as the SANFL pacesetters. 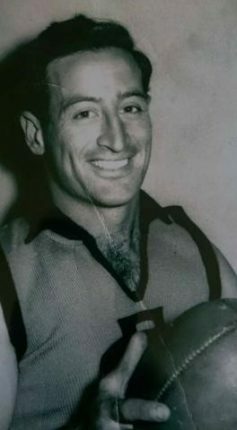 After leaving Unley High School, ‘Emmy’ Jones first made a name for himself as an amateur with University during which time (1963) he represented the SAAFL state team. 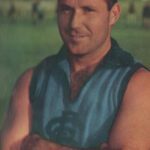 A fortuitous change in the league boundaries in 1962 meant Jones suddenly became a Sturt player and he arrived unannounced one night and asked if he could train with the club. A consistently accurate shot for goal with the drop punt, Jones debuted on 15th May 1965 in Round Five and soon established himself as Sturt’s full-forward of choice. He kept his spot and played in Sturt’s losing Grand Final team (scoring six goals) later that year. Over the next two seasons he was an integral part of the Sturt line-up and played in the first two premierships in the club’s run of five straight flags (1966-70). In the 1966 Grand Final, Jones kicked eight goals in the Double Blues famous scorecard of 16-16 (112) to Port Adelaide 8-8 (56). Jones kicked a club record nineteen goals during the 1966 finals series and topped Sturt’s goalkicking in each of his first two seasons but injuries in 1967 saw Malcolm Greenslade (54) head the goals list. However, Jones was back in the goalsquare for the Premiership victory over Port and the end-of-season clash with Carlton which saw Sturt victorious by 41 points (Jones, five goals). Jones began 1968 in excellent form and was chosen to represent South Australia against Victoria in Melbourne. He wasn’t to know it then but his career was over. A broken leg in the state match ruled him out for the year and he never again played football for Sturt. Despite the brevity of his career, when Jack Oatey finally retired, after 21 seasons in charge, he named his best Sturt team from the players he had coached. ‘Emmy’ Jones was chosen at full forward ahead of state representatives Malcolm Greenslade (215 games, 607 goals) and Ken Whelan (126 games, 441 goals) who both had far more extensive Sturt careers as the key forward during this time. Off field, Malcolm Jones was a pioneer of the computer industry in Adelaide working as a software designer and developer (like his Sturt teammate Rick Schoff). In recent years, Jones has suffered from dementia and his death, though sad and shocking, was not entirely unexpected. 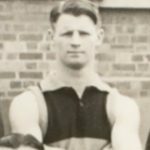 The Club wishes to advise that Life Member Doug Othams passed away aged 91 years on 29 June 2018. Doug left $15,000 to the Club in his Last Will & Testament to the Club. This bequest will be put towards the Building the Blues Foundation fundraising campaign to support the Club’s commitment towards the Unley Oval Grandstand Upgrade Project. The Club is sad to inform the passing of player #623 Brian Illman on August 4. He will be remembered Monday August 20 in the Ian McLaughlan Room, Adelaide Oval starting 11am. Sturt Football Club regret to advise that Vice President Don Jessop, the former Senator for South Australia and House of Representatives Member for Grey, has died at his home in Adelaide. He was 90. 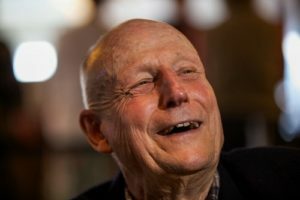 Born in 1927, he served in the Federal Parliament for almost 21 years from 1966 before returning to his profession of optometry both in Port Augusta and Adelaide. Mr Jessop attended Mitcham Primary School and Unley High School before studying Optometry at the University of Adelaide. Throughout his life Australian Rules Football and vice presidency of the Sturt Football Club were important winter activities and summer was all about tennis. In retirement, he sang with the Adelaide Male Voice Choir. The former Senator is survived by Barbara, his wife of 69 years, their three children, Meredith, Lynne and Michael, 11 grandchildren and 17 great grandchildren. Mr Jessop died on May 21. His funeral service will be held at 10.30am on Monday May 28 at Malvern Uniting Church, 44 Marlborough Street, Malvern, SA. 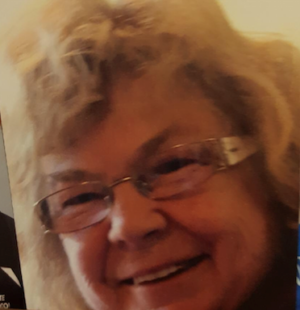 The Club offers its sincere condolences to John Kenney and family on the passing of Janice Madge Kenney (nee Saunders) – 03/09/1950 – 04/05/2018. Your endless love and our memories will forever keep our hearts full. You leave a hole in our lives which can never be filled. We will love and miss you always and forever. The Club will fondly remember player Ellen Maple who tragically passed away Sunday April 8. 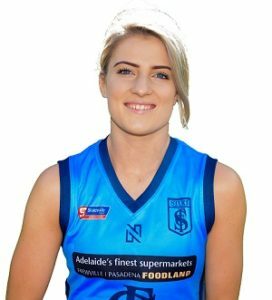 Ellen made her Sturt Football Club league debut as player #25 in Round 3 of the 2018 SANFLW season. A talented, highly skilled player Ellen was named in the best players in seven of eight games this season. She was a inaugural premiership player with Norwood Football Club last year before transferring to Sturt. Prior to Norwood she played amateur league for Mt. Lofty Football Club. In spite of her short time at the Club she was a popular player with team mates, coaches and supporters. 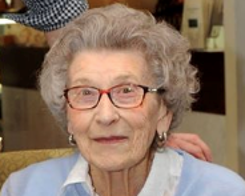 Ellen was laid to rest today and will be sadly missed by us all. 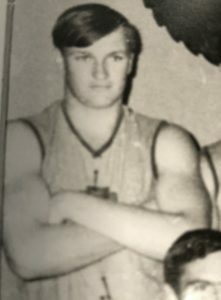 The Club offers its sincere condolences to past player John Richter on the death of his mother Raelene Patricia Richter who was tragically killed in a motor vehicle accident on March 7. The Club advises that player # 721 Kym Stoeckel has passed away aged 71 years. Kym made his league debut for the Club in Round 10 during the 1965 season. A very good footballer whose on field career was cut short due to a debilitating finger injury caused by the lace up guernseys of the day. It is with sad regret to announce the passing of Carol Ann Polulach on Thursday 12th October. Carol, originally from London, had been a long time Sturt supporter and member since her introduction to ‘aerial ping pong’ back in the early 70’s and will continue to be so through her husband Igor’s support. Carol in her wheelchair was a familiar sight at the northern end of Peter Motley oval. A big thank you to the cheer squad especially Tom who always gave Carol a bear hug. To Chris Findlay and Veronica Ashford thank you for always having a big giggle with Carol. Fence Picket 1147 will again be cheering next season. The Club is deeply saddened by the news of Bernie Lange’s sudden passing Friday August 18, 2017. Bernie has been a generous supporter of the Club as a Sponsor and Vice President. For many years Centre State Exports of which Bernie was Chairman have sponsored player No.8, currently Jack Stephens. Bernie also had an interest in Club Sponsors, Betta Blinds which is run by his son in law Martin. Born in Maitland, Bernie was committed to regional S.A. In additional to being a life-long Sturt supporter, he was also a supporter of the Adelaide Crows and the former Chairman of the Carbine Club of S.A. It is with much sadness that the Club advises that Mr. Alfred (“Álf”) Bonds has passed away aged 96. Alf was the son of Martin Bonds who played in Sturt’s inaugural team in 1901 and is player #3. Martin went on to play 26 games for the Club from 1901 – 1905. A very humble man, Alf only advised the Club about three years ago that he was Martin’s son. He became good friends with Club Historian Ken Hughes and provided the Club with some very interesting memorabilia and stories. Last season Alf was invited to toss the coin at one of our home games and joked with General Manager Sue Dewing that he would race her back to the Grandstand. Sue declined the offer noting in all likelihood he would win the race as he was extremely fit in spite of his age. He would jokingly cite his longevity to being a life long bachelor. Rest in peace Alf. It was an honour for us to have known you. The Club advises that Mr. Peter Berrett has sadly passed away. Peter was a life long member and supporter of the Club. He resided in Goodwood and would walk to Unley Oval to see his beloved Double Blues. Peter was an avid collector of Sturt memorabilia. He spent much of his life cataloguing Sturt stories that appeared in print media and put together numerous scrapbooks. It does not feel right to call them scrapbooks, these books were put together with so much loving care and attention to detail. Peter would create leaflets for every home game outlining the history and graphics of encounters with the opposition team we would be playing. He would spend hours putting these leaflets together. The finished product made you think it was created by a graphic designer on a computer, however he had used nothing more than his ruler, tape and at times electric typewriter to produce. He would then print off several copies to be distributed at the home match lunches and Cambridge Room. He never asked to be reimbursed. He was an integral member of the Historical Society and researched much of the content outlined in recent publications about the Club. He spent many hours working with Club Historian Ken Hughes at the Club’s Museum preparing exhibitions, cataloguing and responding to history requests the Club receives from the public. Only last week he and Ken were working on the Club’s presentation for the SANFL exhibition that will held in the Mortlock Library later this year. He joined the volunteer group The Baggies in 2015 and helped many weekends with maintenance works around the Club including painting the inside of the coaches boxes. He was a humble man who put Club first and never asked for anything in return. He will be sadly missed. The Club advises that long term Vice President Malcolm McLean aged 84 years died peacefully on 6 February 2017. A passionate supporter of the Club he was for many years involved in fundraising through the Vice President Committee. 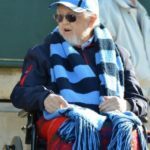 He had been unwell during last year however was determined to get to Adelaide Oval to see his beloved Double Blues win their 14th Premiership. The Club advises that past player Robert ‘Bob’ Cottle passed away on 3 January 2017. Bob played 25 league games from 1955 – 1957. A memorial service in honour of him will be held on 3 March 2017 at Scotch College Chapel starting 2pm. The Club wishes to advise that Mr. Robert Treloar passed away Thursday 2 February 2017. 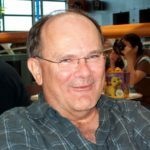 Robert was a long term Sponsor, Vice President and donor of the Club. He was awarded Life Membership in 1990. He was laid to rest on the 9 February 2017. Our thoughts are with his children, grand children, greater grand children and extended family. The Club advises that Lewis Arthur Whittlesea passed away peacefully on the 20th of January 2017 aged 80 years. Lewis is the father of past player Greg and brothers Brenton, Neville and sister Joanne. His funeral service will be held on Friday 3 February 2017 at Stony Creek Farm, 7714 Main South Road, Second Valley commencing at 11.00am. Refreshments will be held at Yankalilla Football Clubrooms Soldiers Memorial Park, Yankalilla from 12.30pm. Donations to Alzheimer’s Association are appreciated. Our thoughts are with Greg and his family. Sturt Football Club is saddened by the sudden and unexpected passing of Shane Vokes on 3 January 2017, aged 61 years. Shane was a passionate supporter of the club since childhood, and barely missed a match from those early days onwards. No matter what the weather was doing, the league position, or the opponent, Shane was always there. He was the truest of Blues. The Sturt Football Club wishes to advise the passing of past player, Neil Goldsworthy. Neil was born on the 19th of October 1951. He made his Sturt league debut on the 13th of June 1970 against Norwood at The Parade in front of a crowd 12,168. On that day Sturt 18.16 (124) defeated Norwood 12.11 (83). 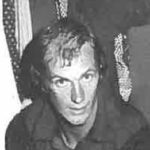 Neil won several awards during his football career including the The League Award for Services to Club in 1973. The club advises that the oldest living, past player Bryce Peake passed away peacefully in his sleep on the 20th of August 2016 aged 98 years. Bryce made his league debut on August 16, 1941 against the Magpies at Alberton. He was named in the best players and went on to play in that season’s losing Grand Final against Norwood. He played 38 league games for Sturt between 1941 and 1945. He moved his family to Sydney in 1960 and in 2005 moved to be with family in Brisbane. He was awarded Life Membership in 2010 which was said to be one of the proudest moments in his life. He came down to accept his Life Membership wearing his 1940 Sturt blazer. In his later years he would wear his Sturt beanie whilst watching AFL football supporting both the Sydney Swans and Adelaide Crows. Each week he would receive a parcel from a friend in Adelaide that contained news clippings about his beloved Sturt. He was very passionate about the game of football and would get quite loud watching games so much that his sister banned him from coming over to her place during football season as the neighbours complained about his barracking. The club is saddened by the recent passing of past player Edward “Ted” Langridge. Ted played 94 senior games with the Richmond Football Club before transferring to Sturt in 1963. Ted represented Sturt in 54 games from 1963 – 1965 where he kicked 80 goals. He was a determined, courageous rover/forward pocket player with good goal sense. Our thoughts are with his family and team mates. Cliff Hawkins, who died on the 15th of July 2016, aged 84, was a lifelong Sturt supporter whose many years of service to the club included his role as President of the club in 1985 and 1986. 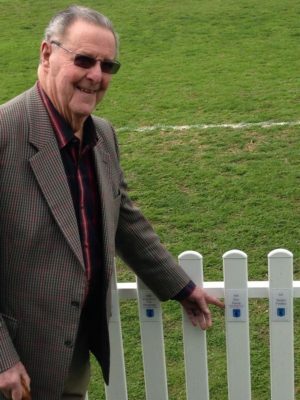 Cliff had followed the Double Blues since he was a school boy, and by the time he had started taking his young family to Unley Oval in the early 1960’s to watch from the outer, his formal links with the club began. Cliff became part of the Vice-President’s group in the late 1960’s, and over the next 30 or more years made many lifelong friends at Sturt, including Bo Morton, Tony Clarkson and Roy Colyer, to name but a few. 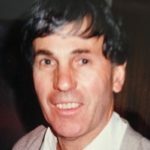 Cliff assumed the position of Chairman of the Sturt social club operation in the late 1970’s, before taking on the position of President of the football club in the mid-1980’s. In later years, Cliff remained a regular fixture at pre-game lunches, and maintained his fervent support of his beloved Double Blues even when he was well past being able to attend games. Cliff will be well-remembered by many in the Sturt family. 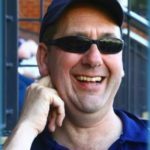 Sturt Football Club is saddened by the passing of three time Premiership player Peter Endersbee who died on Monday the 28th of June 2016 in Cornwall, England aged 67 after suffering for the last couple of years with brain cancer. The blond bombshell Endersbee played just 46 games and kicked 65 goals for the powerhouse Sturt sides of the late 1960’s and early 1970’s, but packed plenty into those games, starring in two Grand Final wins. He was known for his mercurial goal kicking ability and went into folklore in one of them, the 1968 Grand Final triumph over Port Adelaide, slotting two checkside punt goals from the boundary in the north eastern scoreboard pocket. Long before the Eddie Bett’s pocket at Adelaide Oval was named, it was referred to as the Endersbee Pocket. Peter is survived by his partner Jo and his daughter Sunny. 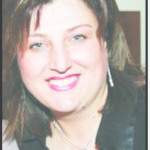 Sturt Football Club is saddened by the passing of Martha Lysikatos (nee Valakos) who passed away peacefully at Flinders Medical Centre after a long illness on May 3, 2016 aged 52 years. Martha is the wife of club historian John Lysikatos. Martha always provided support and encouragement to John in his passion for the history of the club. Martha was laid to rest at Centennial Park. Our thoughts are with John and their daughter Elleny. It is with great sadness that the club wishes to advise the passing of two time Premiership player Tony Lloyd. 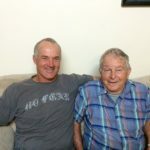 Tony was recruited to the Double Blues from his local club Lobethal in 1972 and played predominantly as a close checking half back flanker in his time at Sturt. He went on to play 128 games between 1972 and 1981 and was a key member of the backline in the 1974 and 1976 Premiership winning teams. After retiring from the SANFL, Tony played A-grade football for the next four years with Lobethal including captaining the team in his final season there. He continued his involvement with Lobethal for the next 15 years by helping the club with coaching of both senior and junior teams as well as playing some games in lower grades. 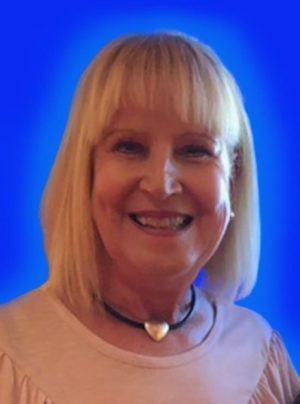 The club wishes to advise the passing of Francine Shearman, wife of the late Bob Shearman. 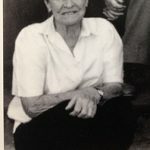 Francine was a regular at the club supporting Bob who joined Sturt in 1966 and later captained the club from 1969-1972. In her early years Francine was one of Melbourne’s leading models. She started and operated a variety of businesses including a model agency, a chain of beauty salons and a national wholesale beauty supplier. Francine and Bob were also successful hoteliers. In 1970 Francine became the first female television presenter for the Channel 9 Football Show. Francine leaves behind her son Scott, daughter Danielle and four grandchildren. 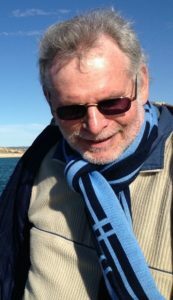 Peter Clancy, a Life Member of Sturt Football Club, passed away peacefully in his sleep on Friday 23 October after a long illness. Pete began at Sturt as a Statistician when Jack Oatey began coaching the club. Pete sat alongside Jack on the coaches bench every week. Stats in those days were done by one person recorded in a book. When Sturt created their website, Pete started writing a column called “Clancy’s Column”. This was his version of each game written in a witty and satirical way, most players couldn’t wait to read it on Mondays. Pete was involved with the Club as a volunteer. He enjoyed talking to all the players. Until his illness prevented him from driving, Pete and Chester (beloved dog) were regular visitors at training and Barzaar. In his last days he was already selecting his team for the first game in 2016. His pride and joy was his Life Membership Certificate which was always close by him until the end. Sturt Football Club wish to advise the passing of life member June Oliver aged 90. June was a recipient of the prestigious Brenton Miels Service Award for outstanding service to the club. She was a volunteer for over 50 years helping to fundraise for the club. June called a spade a spade but with a passion bordering on obsession for Sturt Football Club. As a young girl she would make holes in the olive hedge around Unley Oval to sneak into the ground. She was often seen riding the streets of Unley on her hand painted double blue bicycle. 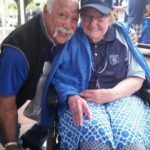 Sturt Football Club mourns June’s passing and will remember her fondly. 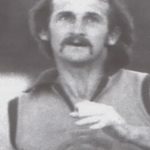 Noel Pettingill, transferred from Norwood to Sturt midway through the 1976 season having played 133 games for the Redlegs. Remembered for his prodigious kick, Pettingill played 20 games before retiring at the end of the 1978 season after battling a serious knee injury. Sturt Football Club is saddened by the passing of Jeanette Alison Schilg who died peacefully at home after a long illness on Saturday April 4, 2015. Jeanette was a long term Sturt supporter and with her husband Craig, helped set up and run the Oxford Wine Club. Jeanette enjoyed many sporting activities and was a frequent participant at the Australian Masters Games. Jeanette is survived by husband Craig, sons Carl & Henry and Daughter in Law, Sally. 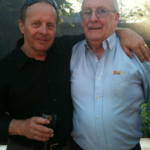 The Sturt family has lost a dear friend with the tragic passing of Peter Hall. With family by his side Peter passed away peacefully at home last weekend after a short, but very brave battle with cancer. Peter was the Secretary of the Club’s Vice President group, but more importantly, a passionate supporter of Sturt Football Club in general. Those that knew Peter are indeed the lucky ones, as they have been truly blessed to have been his friend and will have him in their hearts forever. Peter will be sadly greatly missed and always remembered with much affection at Sturt Football Club. Our love and thoughts go out at this very sad time to his partner Alison, daughter Joanna and the rest of his family. Herbert Leslie John Heylen (Bert) was one of the oldest living Sturt players before his passing, he was born at Murat Bay on the 11th of November, 1915 and died on the 20th October, 2014. Originally from Port Pirie and one of three brothers to play for the club. 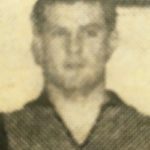 Herbert Heylen was, according to The News: “One of the best recruits secured by Sturt in 1938.” A solid half back flanker, he made his debut in Sturt’s 5 point victory over Port Adelaide at Alberton on June 18, 1938. A close checker, Heylen (who served his country during the war) usually cleared with a long kick. Tumby Bay hero, the solidly built rover Roger Dunn was the personification of consistency during his 139 league game career and was a member of the 1966 and 1967 premiership teams, he famously kicked the last goal late in the 1967 Grand Final to ensure the Double Blues victory, he won 3 Mail Medals while playing for Tumby Bay and also captained/coached them to a number of flags.